WebCast2You offers state-of-the-art solutions to todays counseling needs. 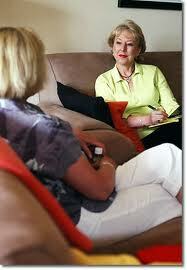 Our counselor platform is available to mental health couseling practitioners and counseling centers. Missed appointments are a thing of the past. Expensive office space and associated overhead cost can be eliminated altogether. With state of the art webstreaming, WebCast2You offers more solutions to the professional counselor than any other web-streaming company. Unlike other platforms, WebCast2You custom builds its platforms to meet our customer's specific web-streaming needs.